Wesley Wooster, a well known citizen of Middlebury, was found dead in bed in bed at his home on Depot Street Thursday morning. He had been about town as usual the day before and seemed quite well. The cause of his death was heart trouble. 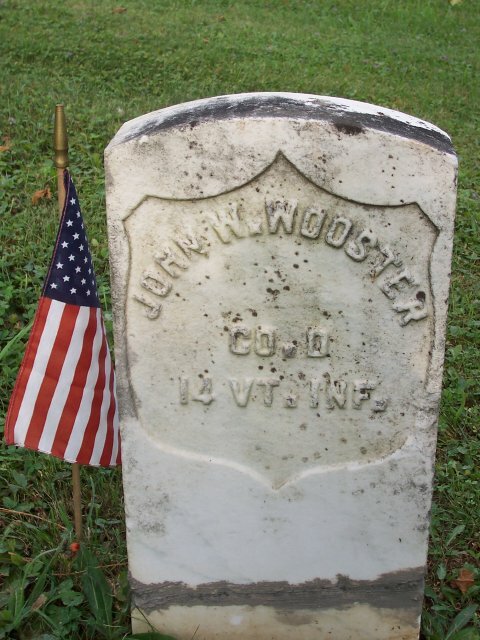 He is survived by a wife and ten children, five boys and five girls, as follows; Charles Wooster of Chittenden, William Wooster of Newark, N. J., John Wooster of Montpelier, and George and Edward Wooster of Middlebury, Mrs. A. C. Westall of Morristown, N.J. Mrs. Edward Crannelly of Pittsford, Mrs. William Farwell, Mrs. Charles Severance, and Miss Theresa Wooster of Middlebury. Mr. Wooster was an old G.A.R. man, and served in Company D., 14th Vermont. He was also a member of the Masons. At this writing the funeral arrangements had not been made.